Post processing your images can be exciting, creative and fun. It can also drive you to pull your hair out! Below are some books that Bob recommends to help you along your creative path! Described by the author, as “the Photoshop book he wishes were available when he was trying to learn Photoshop.” I couldn’t agree more. It is 255 pages long and written so as to guide you from start to finish assuming you have zero familiarity with layers, but it is also contains loads of information for those of us that have played with layers for years, but always felt there was a lot more potential waiting to be mined. The contents are well laid out and the topics all stand well on their own, so feel free to jump right in and start playing wherever your interest take you. Like everything the Kelby team does, the layout appeals to the visual senses immediately. The images and examples throughout the book are well done and demonstrate real world examples of how easy it can be to correct or enhance your images using a few strategically executed layers. Matt Kloskowski clearly knows his stuff and does a great job imparting that knowledge in a succinct and enjoyable manner. 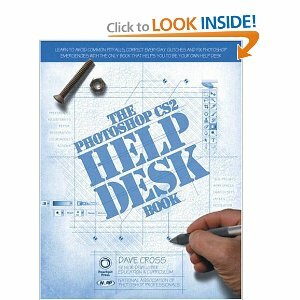 This is a great second or third book for anyone that has the basics of working in Photoshop under their belt. 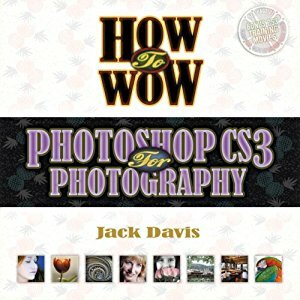 This is THE book I recommend to anyone that is new to Photoshop and feeling overwhelmed by the program. One caveat is that as Photoshops continues to change and evolve Kelby dedicates most of the coverage to the newer or revised functions within the program. If you have zero Photoshop experience then the Classroom in a book series might be the better place to start. I have worked extensively in Photoshop since 2001, and I feel as though I have only scratched the surface of what the program is capable of offering. The learning curve with Photoshop is formidable. This book is the best guide I have found for getting you up and running quickly and effectively. Don’t think that it is only for newbies however; there are many great tips for users of all experience levels throughout the entire book. You won’t find a great deal of Photoshop wizardry in this book, but that’s not the point. 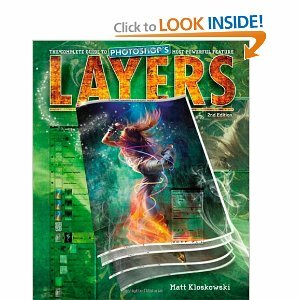 This book is dedicated to explaining the basics, and helping you really master the underpinnings of Photoshop so that when you ready to take it to the next level you are doing so from a rock solid foundation. Having said that there is a tremendous amount of material covered in this book. You will learn how to handle numerous real world problems that every photographer faces at one time or another. In a nutshell the books walks you through how to setup the program so that it works intuitively for you. Next you learn how to import and organize your images so you will be able to find them later. Once you are able to upload, store and retrieve your images then you start to learn how to correct the myriad of technical problems that are typical with digital photography. At the end there are several chapters dedicated to preparing your images for printing including numerous suggestions for ways to present your work like a pro. 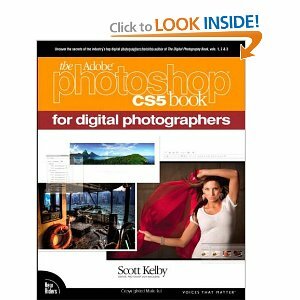 There are 457 pages, most of which are written in classic Scott Kelby form. If you have never read one of Scott’s books you are either in for a treat or will find yourself groaning… a lot. I happen to really enjoy his writing style, which is good because he is a prolific writer and consummate educator. If you have a thirst for Photoshop knowledge you will come across his work again and again, and again. I copied the next few lines directly from my review of Layers by Matt Kloskowski, because it sums up this book just as accurately. Like everything the Kelby team does, the layout appeals to the visual senses immediately. The images and examples throughout the book are well done and demonstrate real world examples of how to correct or enhance your images in Photoshop. I’ll repeat myself to make certain you come away with a clear understanding of how strongly I recommend this book. Scott Kelby far and away writes the best guides to Adobe Photoshop and Adobe Photoshop Lightroom that I have ever come across. His are the first books to buy when faced with learning either program. This book has quickly earned a prominent spot on my digital darkroom reference shelf. The book has several key elements that ensure it will remain there for the foreseeable future. It is 276 pages long yet you can comfortably familiarize yourself with it in one evening. The layout appeals to the visual senses immediately. From the contents, which contain thumbnails of each technique, to the numerous color coded tips, cautions and insights boxes, right through to the informative screen captures the book is a visual delight. While good looks are appreciated, useful content is what earned this book a prominent place in my reference library. The techniques provided are impactful, and have real world applications. I have seen numerous tutorials describing impressive techniques only to wonder how I would ever use them. Not so with this book. Within 2 days of getting the book I was employing several of the techniques with gratifying results. The authors do a good job of providing beneficial foundational material in the first fifty or so pages. They touch on workflow, color management, exposure evaluation along with the basics of using non-destructive layers to preserve the original file. Entire books have been written on each of these subjects, so don’t expect an all encompassing treatise but rather a succinct introduction to get you started down the right path if any of these topics are unfamiliar to you. The book includes a CD with a wonderful collection of swatches, shapes, layer styles, gradients and actions that can be downloaded and installed in your own copy of Photoshop. These provide the basis to quickly achieve all the techniques shown in the book, plus many many more to discover for yourself. Additionally, the CD includes all of the images used throughout the tutorials, so you can follow along at home if that appeals to you. This is a different sort of Photoshop book. Most Photoshop books focus on showing you what can be done to enhance your image. Idea to Image approaches from a different perspective. Rick Sammon encourages you as the reader to focus on your final vision prior to capturing the image. Throughout the chapters he sprinkles in an assortment of suggestions and examples designed to aid with composition, and timing. Learning when to take the picture, and encouraging you to experiment and think beyond a single shot. The book is 202 pages long, and very reader friendly. In reviewing other Photoshop books I often conclude that you can jump in anywhere that interests you and start playing. With Idea to Image I think it best to start at the beginning and read it in order at least through the first two chapters. There is a lot of good advice in the opening pages and to skip past it would be a mistake. Once you get into the book, like most Photoshop books, the lessons are brief and well encapsulated allowing you to quickly access what you need to know to try a new technique. The book encourages you to explore and experiment, always-good advice in my mind. I always encourage my friends to push beyond the obvious application of a technique and think of unique ways to apply a new style. 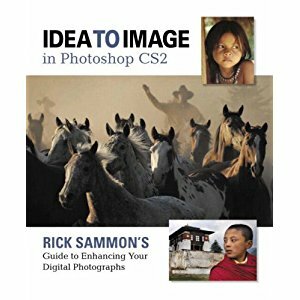 Idea to Image is a great book if you are in need of a little creative boost. While some of the subject matter would be beneficial to beginner photographers, there are surely better places for a novice to look for help. The more I know about Photoshop the more I realize how much more there is to learn. Idea to Image is a great reminder to focus on the final image, not just the viewfinder, and it is a welcome shot in the arm when your creativity is waning. Without question, this is the most thorough discussion I have ever come across on the subject. I belong to several photo clubs and the number one down fall of most competition prints I review is poor sharpening. Images either have not been sharpened or they are over sharpened to the point of looking “crunchy”. I recommend this book to anyone that takes his or her photography seriously. Unfortunately sharpening is not a flashy or exciting subject, but once you see how good your images really look when properly sharpened you will be glad you made the effort. What I really like about this book is the multifaceted approach to the subject. 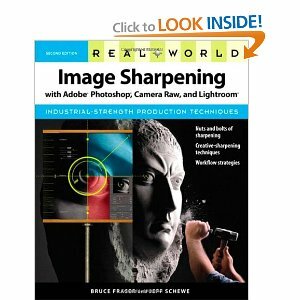 The book opens with an explanation of what sharpening is and why we need to sharpen digital images. After explaining why you need to sharpen the authors proceed to walk you through a variety of sharpening strategies accompanied by numerous images. While the before and after images are not always illustrative as the text would have you believe, the results are very visible in full size real world prints once you start to apply the techniques discussed. Lastly, the focus moves on to various sharpening techniques and an in-depth explanation of putting the tools to work. WHile this book is getting a little long in the tooth, it is not entirely what you might expect from the title. It certainly provides answers when Photoshop isn’t behaving they way you expect it should. For instance, you have a tool selected and you keep trying to execute an action, but nothing is happening. This book will provide you a detailed description of how the tool functions and why it may not be working as you expected. But the coverage of this book goes beyond trouble shooting problems. It is a handy reference manual. It is 259 pages long and is divided into 21 chapters. The opening seven chapters address the meat and potatoes of basic problem solving. They succinctly take you through the basics of Photoshop menus and tool functionality. The next ten chapters continue to function as help/reference for a myriad of different functions but I find them very interesting to consult even when I am not experiencing a problem. They are written such that you can quickly peruse the subjects and pick up little tips and tricks on how to execute an action better and/or faster than you may otherwise be used to doing so. The last three chapters are dedicated to personalizing Photoshop and making it work for you. Chapter nineteen does a great job of explaining how to automate operations using actions and batch processing. Chapter twenty provides guidance on making your own unique brushes and patterns and then applying them in a variety of different manners. The final chapter addresses customizing Photoshop features like picture package and contact sheet. I would recommend this book to anyone with a foundation in Photoshop. It certainly is not intended to hold your hand and walk you through the basic functions of the program, but it will help you understand why the program works the way it does, and how to best accomplish the myriad of tasks that Photoshop is capable of performing. And if you are the type to enjoy experimentation there is plenty of opportunity to do so with this book.